We are proud to be the premier carpet repair and carpet cleaning company in the Phoenix metro area. We also have separate locations across the United States. We specialize in carpet repair, but also provide carpet cleaning, tile cleaning and upholstery cleaning services. Our customer in Goodyear was hiding his damaged carpet with furniture. 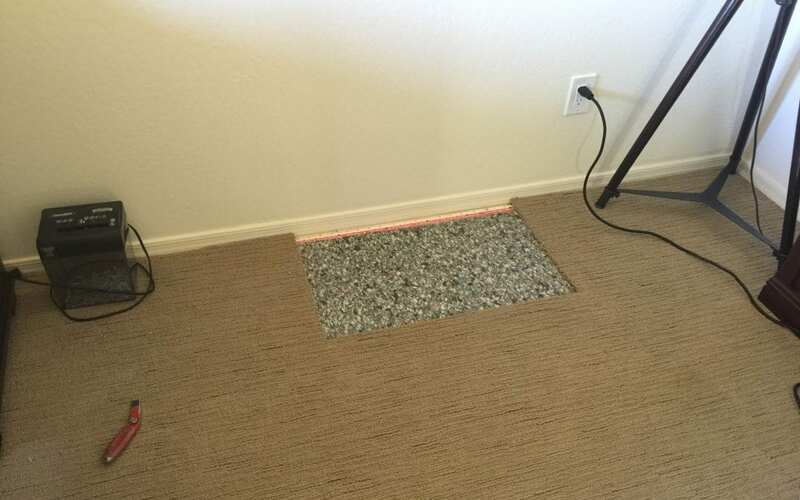 A carpet seam inside his home was becoming undone and was ready to get it repaired because he realized that the problem was getting worse. The cost to repair is much lower than the cost to buy and install new carpet.